I love breakfast. And I love cookies. 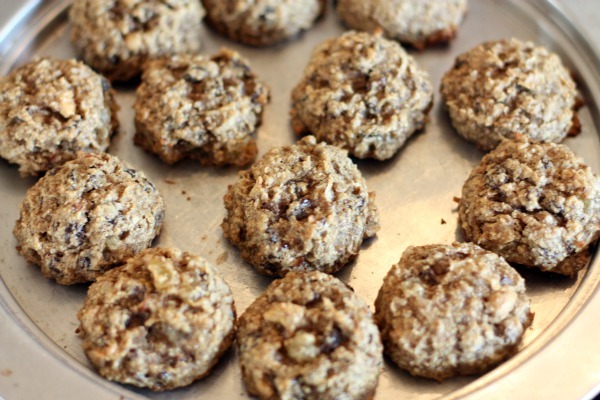 So I'm working on a healthy recipe for Healthy Breakfast Cookies that offers the perfect balance of high-quality protein, natural carbs, and healthy fat. I'll post the recipe on Thursday! With an electric mixer, mix the peanut butter, water, honey, vanilla extract, mashed bananas, and cinnamon. Add the oats, protein powder, dried cranberries and nuts and mix until combined. Scoop about 1/4-cup mounds of the cookie dough onto the baking sheet, flattening each cookie slightly. Bake the cookies for about 15 minutes, until they’re golden brown. Remove cookies from the oven, then allow them to cool. Enjoy!